Public markets are all the rage these days. After largely disappearing in most communities in the second half of the 20th century amid the rush to supermarkets and processed foods, only a small number of markets remained. Some of the oldest markets that were housed in large, historic buildings in tourist-favored cities phased out their original functions and began to cater to out-of-towners with colorful shops and restaurants. The most notable successful conversion story was in Boston where, as American Tourism co-editor Nicholas Dagen Bloom writes, visionary mall developer James Rouse managed to use the trappings of an old market to reinvent the worn-down Quincy Market into Faneuil Hall Marketplace. For the next two decades other cities rushed to copy Rouse’s brash confidence in downtown America. Meanwhile, as American Tourism contributor Judy Mattivi Morley argues, Pike Place Market in Seattle, Washington, offered an alternative vision of enticing tourists to a real, working market that clung to its old ways. Cleverly packaged as an opportunity to “Meet the Producer,” Pike Place Market not only remade downtown Seattle, it also latched onto the rising popularity of the organic, farm-to-table, and locally sourced food movements sweeping the United States. 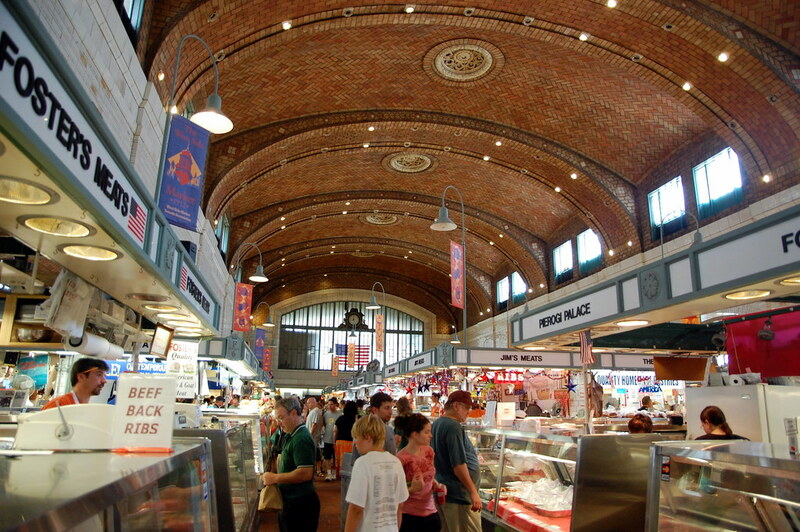 Other venerable public markets that managed to hang on through the difficult 1970s and 1980s, such as Cleveland, Ohio’s West Side Market (which turns 100 this year), are in a great position to attract tourists without sacrificing their core mission of providing fresh food to restaurants and household consumers. The “meet-the-producer” ethic guided those who did not grow their own food until industrial society all but destroyed it. Now, As tourists and locals circle back to this mindset, established and emerging tourist destinations are tapping their rediscovery of fresh food. 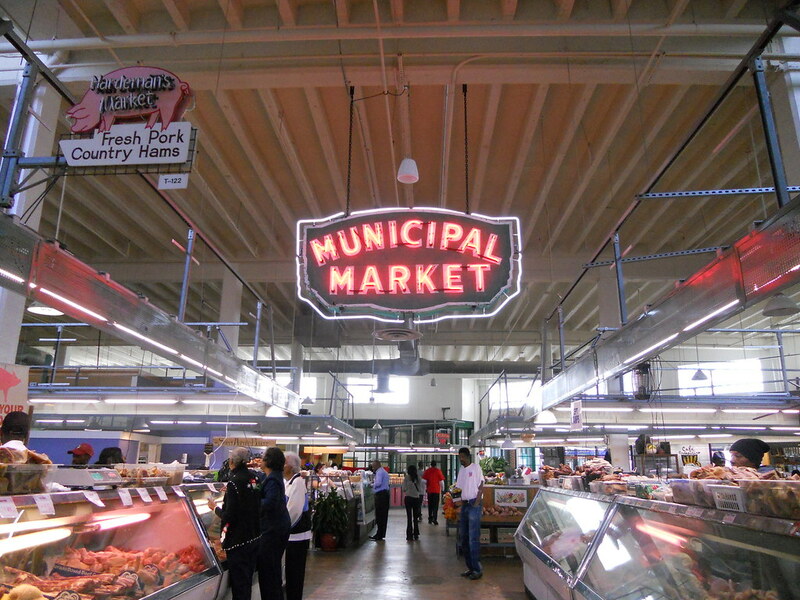 In Atlanta, according to the Atlanta Journal-Constitution, the growing Sweet Auburn Curb Market‘s twenty-five vendors hope to cash in on a recent restoration and a new electric streetcar line that will connect the Martin Luther King Jr. National Historic Site to CNN Center as early as next year. 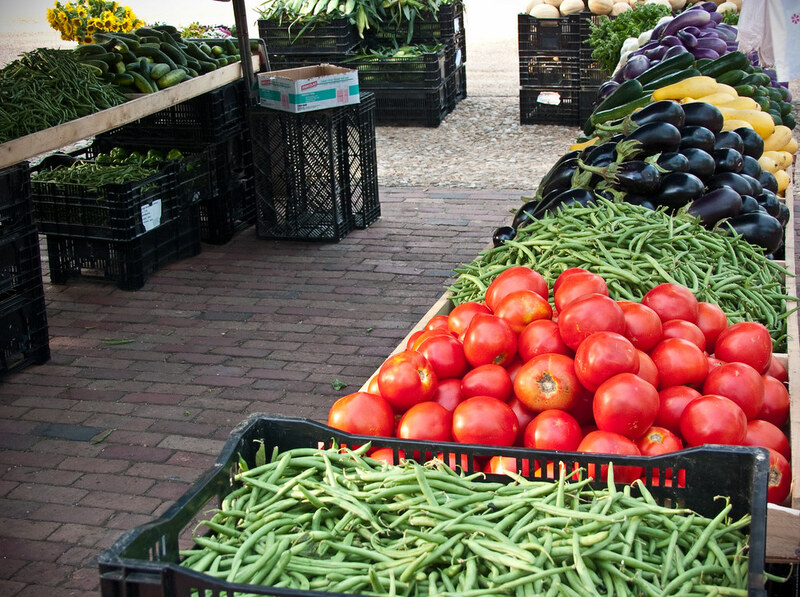 And, as the Virginia Gazette reports, Colonial Williamsburg’s Merchants Square has in the past decade turned Duke of Gloucester Street into a seasonal farmers market that now draws some fifty vendors.